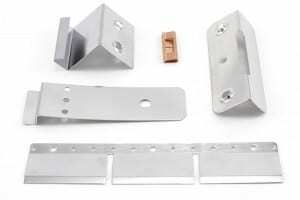 Home » News » Why Should My Company Choose Four Slide Metal Stamping? Why Should My Company Choose Four Slide Metal Stamping? Four slide metal stamping is a precision metal stamping and forming process best suited for the production of multiple formed material-intensive parts or parts that require the most accuracy in shaping. Here at James Spring we handle the precision forming and shaping of parts in-house which not only ensures high quality, but has the added advantage of helping our customers streamline planning that can reduce costs and lead times. 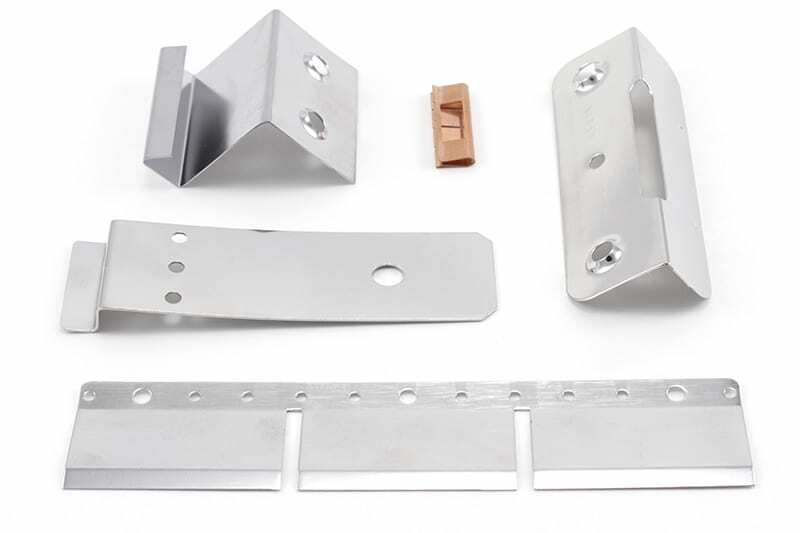 Whether your company’s needs are clips, clamps, terminal boxes, partition brackets, corner braces, u-mounts, mounting brackets, etc., we will work with you to make a high-quality product and meet your company’s goals. Our engineers work with our customers throughout the product development cycle to meet the specific needs of your company, to minimize costs, and to produce the finished product in a timely manner. Four slide metal stamping is a specialized precision metal stamping process that allows four slides to produce complex stamped material-intensive parts from strips and wires. The process can form, bend, fold, punch, tap and twist any part, or form parts requiring bends greater than 90°. During four slide forming, sliding tools, regulated by cams, glide in from four directions at right angles to one another, bending the metal around a vertical mandrel. During press operation, the slide maintains movement to and from a motionless table called a press bed. The die, a press tool consisting of a specially designed cavity, shapes metal parts from the inserted sheet metal. The upper component of the die connects to the press slide, and the lower component connects to the press bed. A die component called the punch performs the necessary shaping operation by pushing the sheet metal through the die. The advantage of the four slide precision metal stamping process is its ability to complete all of the complex operations required to form a single piece from start to finish. Fourslide metal stamping is the most cost-effective service for producing material intensive parts for production. Precision metal stamping can mass produce parts at lower rates greater than what is possible using other traditional methods. Four slide stamping can be used to produce the necessary material intensive parts in a variety of industries ranging from mining and medical to electrical, building, and automotive. Once the die is set, we can bend, punch, and cut the metal strip to produce the parts on an industrial level, at an output capable of tens of thousands a day. Our material list includes of Aluminum, Beryllium Copper, Brass, Bronze, Copper, Elgiloy, Hastelloy, High Carbon Steel, Inconel, Low Carbon Steel, Monel, MP35N, Nitinol, Phosphor Bronze, Stainless Steel (17-7 SS, 302 SS, 304 SS, 316 SS, & 316L SS)—that can be formed into predetermined parts for your company. Our material size range is 0.010″ to 0.093″ x 3″. We offer a variety of surface treatments such as powder coating, electropolish, rust prevention, anodizing, and laser etching. We also do plating; including chrome, cadmium, gold, nickel, zinc, and others. At James Spring we ensure high quality on all our precision metal stamping and are ISO certified.